So, here it is! The phone Korean manufacturer Samsung are hoping to take on Apple with, you would a daring person to bet against them. The Samsung Galaxy S is literally overflowing with tech and has obviously been designed with its biggest rival in mind. It even looks similar to its nemesis! Taking on the giant that is the iPhone 4 is no mean feat and Samsung have decided to armour their champion with a plethora of high end tech. In its design they have made it light weight at 118g and fitted it out with a massive 4inch screen giving the user a massive area to play with. It is very slightly thicker than the iPhone 4 but doesn’t seem it to hold because the back is cunningly curved. It is plainly obvious that Samsung has taken their success in the past and added others success to the pot, which is not a bad idea. The Samsung Galaxy S is fitted with a 5MP camera, a fabulous, sensitive and fast touch screen and the usual wifi, Bluetooth and 3G support. It is running an Android OS and features widgets and icons which have been taken from their popular Wave series of handsets, this time on seven home screens instead of ten. As mentioned the screen is very impressive, and the use of the fast 1GHz processor means that every input is super fast. The phone has very good audio quality, though sometimes calls can be too quiet even on the loudest setting. The Galaxy S also features HD video recording to help you fill the 8GB memory. Although the phone is very impressive at almost everything it does there are some issues, such as the phone slightly freezing at times and the poor contacts menu which seems strange for such a great, well specified phone. Also, the guy who was buying in all the parts for the phone forgot to order a flash for the camera, which seems like a pretty obvious oversight. My final thought would be if you are thinking of buying an iPhone 4 take a very considered look at the Galaxy S. For the price of this phone and the deals available, there might be some people moving away from Goliath and opting for David. 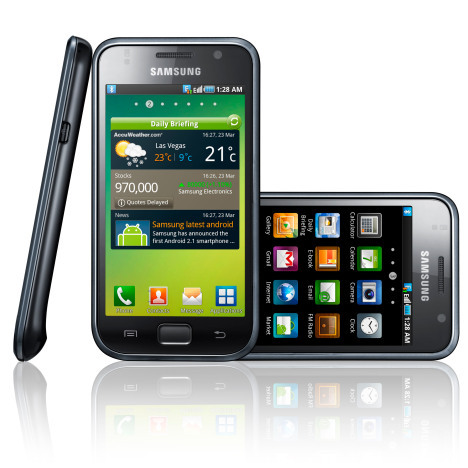 Find out more about the Samsung Galaxy S online today at Dial-A-Phone and check out the latest news on their blog. Will the Samsung Galaxy S Really Beat the iPhone 4 for Picture Quality? Cell phone battles aren't new. After all, look at the battles between the iPhone and the Blackberry, and then the iPhone and Blackberry against the Android platform as a whole. Cell phone wars will always be there, but some tech fans find them more amusing than anything else. So, the new tech battle is a matter of getting specific with cell phone: does the Samsung Galaxy S really beat the iPhone in terms of picture quality? Well, there's an easy way to find out if that's really the case. First, a little bit of background. The Apple iPhone 4 is the newest generation in the iPhone series. It brings a lot of features to the table, such as a larger screen and plenty of on-board memory to be had. There's plenty of space on the phone to hold pictures, music, and video, which are must haves for anyone that's on the go. In the other corner we have the Samsung Galaxy S, which is also a great phone with a long list of features. Samsung has been quick to get on the Android bandwagon, because it's become quite profitable to do so. Consumers are looking for phones that allow them to do more than use the phone as an expensive paperweight, so that means that Samsung has to step up to the plate and really make sure that they have a winning combination. The Galaxy S has a very nice Super AMOLED display as well as a 1 GHz processor. The phone design does make it look very iPhone-ish, but it's all about the technical specs. There are plenty -- a 4 inch screen, at 800x480 resolution. According to in the wild reviews, users report that the colors are very, very rich and happily saturated. The brightness is also stellar, which is something that people demand out of a phone these days. However, does this line up with beating the iPhone 4 at a game that Apple knows it has to win in order to stay on top? The answer might actually be in Apple's favor, looking at the iPhone 4. The screen is 3.5 inches, which is smaller than the Galaxy S, but it has a bigger resolution at 960x640. The colors are definitely vibrant, which could definitely give the Galaxy a run for its money. However, who really wins? The iPhone 4 is on its own development cycle, which means that the Galaxy S could pick up new features to use with that extra half-inch larger screen space. If screen size is more important to you than anything else, you may still want to go with the Galaxy S. However, if you're thinking about sticking with Apple on the iPhone, it's not necessary a bad choice. As always, it's up to you to decide for yourself what device will be the best for your needs. Getting a phone on a pre-paid phone carrier has usually meant getting a basic flip phone and praying that you'll be able to get the reception you need to make the calls that you paid to get in the first place. However, that may be changing soon, thanks in part to the Android platform. Take Boost Mobile for example. The network is known for offering an all-inclusive all-you-can-eat plan for one low price, which means that you have plenty of usage ...if you're willing to deal with the phone lineup. With Android on the lineup now, Boost can actually entice more people into their network. They now have the Motorola i1, which brings the Android power to the pre-paid market, something that hasn't been done previously. However, is it a perfect implementation of Android? Definitely not. The failing comes from the fact that the operating system that is on the Motorola i1 is the Android 1.6, which means that there are apps that just won't work on the i1. It's something that Sprint, the network behind Boost Mobile, has not announced that they would change in the near future. 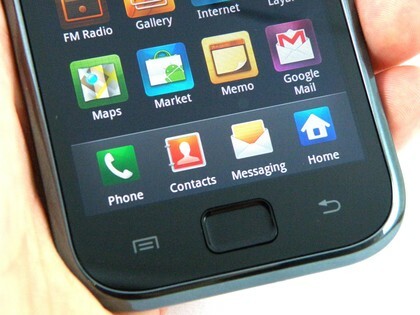 The operating system for Android is currently at 2.2 -- making it clear that the i1 is already behind from the beginning. The speed isn't going to be the best, considering that the phone is dependent on the iDEN network, which doesn't boast the same speeds as what users of Sprint are used to from EV-DO. However, it's definitely a step up from the classic pre-paid cell phone. Anyone that has had to suffer with a tracPhone will find the i1 is definitely a much better substitute from that type of flat, non-dynamic phone. Just because it's on a lower version of the Android operation system doesn’t mean that there aren't apps that you can download and use with the phone. You may have to do more digging than someone already running Android 2.2, but it's still a possibility. A full keyboard phone on a pre-paid service is a rarity, and that’s one area where the Motorola i1 really does shine. The keys are stable and everything "feels" right. Web browsing is less slow than it would be expected to run, thanks to Opera Mini and extreme server-side compression of all the HTML data. Overall, the Motorola i1 has some good aspects and some areas that definitely need improvement. However, there's a good chance that if you're on Boost Mobile, this is one of the best phones you can get. 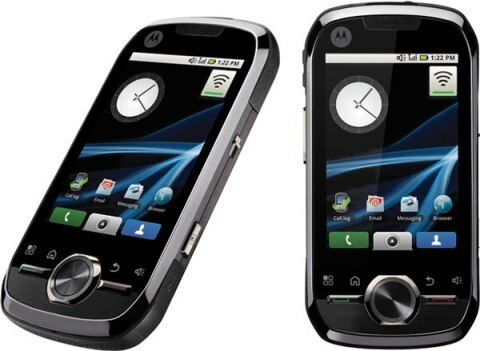 With the all-inclusive plan, you really can't go wrong picking up a Motorola i1 with Android technology! Just got 3G? Well, we hate to break it to you, but you are definitely late. Way late. The new buzz is all about going 4G, and if you can go 4G with an Android phone, that's even better. For those not in the loop, you might wonder why 4G is such a big deal -- after all, isn’t it just the next generation of speed? Yes, but it's much more than that. The speeds can get pretty incredible, depending on the carrier you're talking about. For example, Sprint's 4G network runs on EV-DO, which naturally is CDMA/TDMA dependent. However, the latest version can reach speeds approaching 3.1 Mb/s. That's not a slow data connection at all -- videos get to your phone faster, web sites get to your phone faster, and transfers are pretty painless. Sprint has been rapidly expanding their 4G network, which means that as more phones that support the new generation become available, you'll actually be able to take advantage of that speed. When it comes to phones on the Android platform that support 4G at this time, your choices are a bit limited to start with. However, the Android trend has swelled in popularity to the point that it's fast becoming the best selling smartphone around -- giving BlackBerry and iPhone something to think about for sure! As mentioned before, your choices are pretty much the Sprint EVO 4G and the Samsung Epic that has not yet been released. That won't be released for another few weeks, but it's part of the Samsung Galaxy S series. It's called the Samsung Epic, and it will also be offered for Sprint networks. Does that mean that T-Mobile, Verizon, and AT&T are staying out of the Android craze and the 4G frenzy? Definitely not, but it looks like they're focusing more on spreading out their network before they jump forward with more phones. They could pick up the Epic for their network in a GSM version, if Samsung feels there's enough demand for it. Is it time for you to upgrade to 4G? Well, if you're someone that really cares about speed, it's definitely something to consider. Going 4G will make things a lot faster, but if you're not due for a handset upgrade, you might want to think about whether or not you really have an extra hundred or two burning a hole in your pocket. If not, stick with 3G -- 3G support is pretty strong now, so you shouldn't have a problem. As with its predecessors, the Samsung Galaxy Beam is also not all about looks. It definitely has the features to back it up. All the data connectivity options you need is on the device including 3G HSDPA and Wi-Fi. The multimedia features of the Galaxy Beam are also quite commendable – perhaps none more than its amazing 8-Megapixel camera. This camera definitely outclasses the iPhone’s 3-Megapixel snapper any day of the week. You can get hold of the new Beam by comparing phone deals from online retailers. Aside from the usual features such as an LED flash, autofocus, and geo-tagging, it even packs in face, smile, and blink detection as well. You wouldn’t have to worry about storing your precious photos as this Smartphone holds an internal memory of 16GB which you can triple by using an external microSD memory card. There are lots of great Galaxy Beam contracts online and they are often much better than deals from your high street store. The Galaxy Beam’s OS of choice is the Google Android mobile operating system (version 2.1 or Eclair). This OS has been deemed by many as the top performer in the industry today and we wouldn’t contest this claim. The Beam’s 720 MHz processor should be able to handle the hardware requirements of the famed OS. The Samsung Galaxy Beam doesn’t come for cheap. You’ll have to cough up a considerable amount of money to get your hands on this bad boy but once you do, you’d realize in an instant that it was money well spent. All the amazing features of the Galaxy Beam will definitely make you feel that what you spent was all worth it. If anything, you might even think it was a steal. The device possesses an excellent combination of style and substance which will undoubtedly satisfy any consumer’s Smartphone needs.